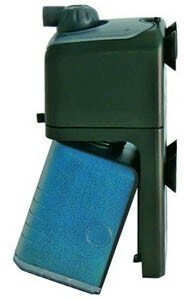 The Superfish Aqua-Flow 400 Compact internal filter provides optimal filtration and clean, clear water. Ideal for coldwater and tropical aquariums between 200 and 400 litres. Features an 'Easy-Clean Click system' for easy maintenance. Dual action filter medium with activated carbon removes organic contamination, chemicals and dyes from the water. 100% open structure foam provides optimal filtration and bacterial growth area. Adjustable flow rate (200-800 litres / hour). Suitable for Fish Tanks 4 ft and over. Aqua Flow 400 spare filter cartridge. .